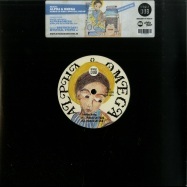 (12inch LP vinyl / 33 RPM / incl. 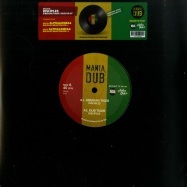 Download) Music Mania and Indica Dubs is proud to present the next release in their Mania Dub series. 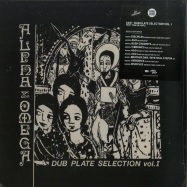 Following multiple classic re-issues, we now bring you a long awaited freshly produced dubplate album on a 12inch by UK Dub innovators, Alpha & Omega: Dubplate Selection Vol. 3. 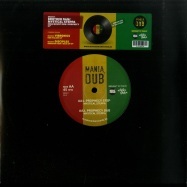 Music Mania and Indica Dubs is proud to present the next release in their Mania Dub series. 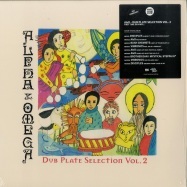 Following multiple classic re-issues, we now bring you a long awaited freshly produced dubplate album on a 12” by UK Dub innovators; Alpha & Omega: Dubplate Selection Vol. 3. “We have always done alternative mixes for sound systems. 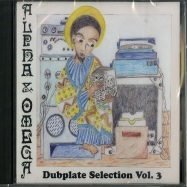 We had enough good ones to make an album so that's why we released Dubplate Selection Vol. 1. 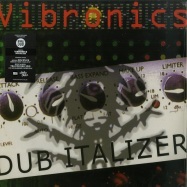 As we released more albums we had more dubplates to release. We've had a long gap but after our recent releases we felt it was about time for a new Dubplate Selection Vol 3. It includes mixes from the last 3 albums”. 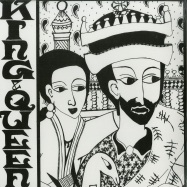 Christine and John (Alpha & Omega). UK dub pioneers since 1990, A&O have worked with the likes of Greensleeves, Lee ‘Scratch’ Perry, Jah Shaka and Gregory Isaacs. A&O are a roots dub duo that mix both analogue and digital elements, comprising Christine Woodbridge and John Sprosen, both of whom had played in reggae bands previously, Sprosen also having worked with the Roaring Lion Sound System.